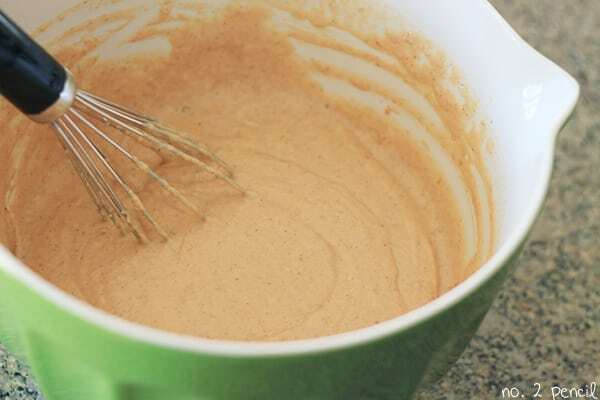 Start by whipping egg whites in a stand mixer with whisk attachment until stiff peaks form. Set egg whites aside. In a large bowl, combine dry ingrdients. 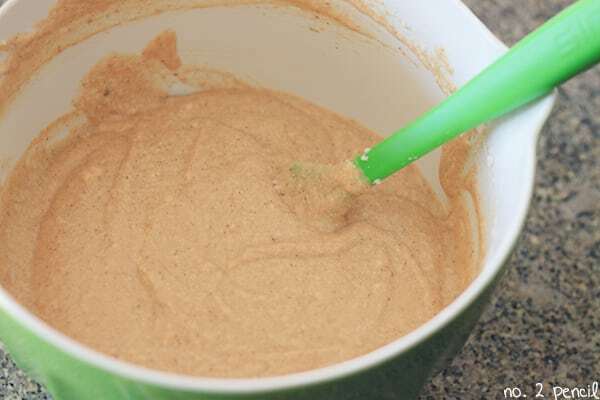 In a smaller bowl, combine pumpkin, melted butter, apple cider vinegar, egg yolk, and milk. Add egg whites to batter. Gently fold egg whites and batter together. To fold in egg whites, use a spatula and make large scooping strokes through the batter. 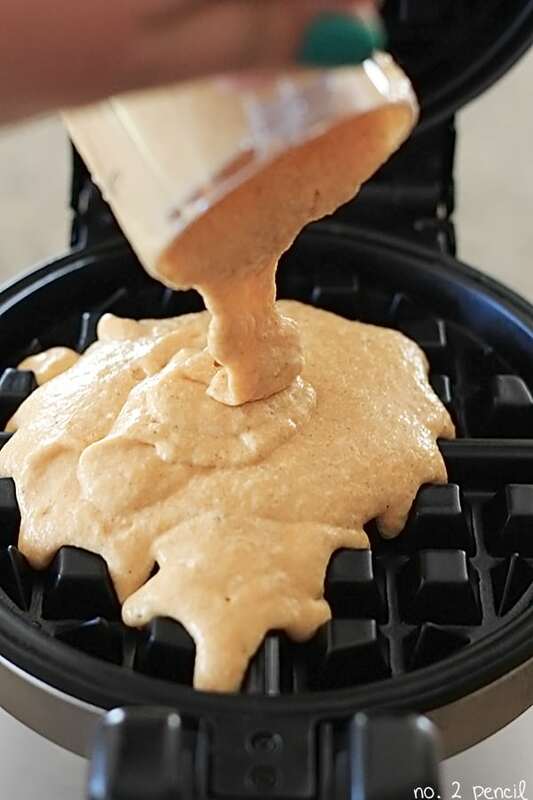 Pour batter into freshly oiled waffle iron. I’m really happy with our Waring Pro Belgian Waffle Maker . It cooks the waffles perfectly, and unbelievably fast! 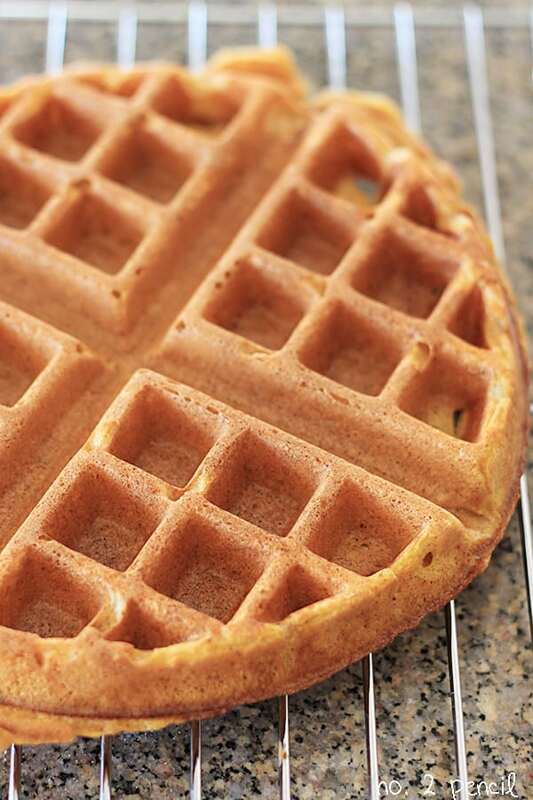 To keep the waffles crisp, place them on a cooling rack so air can circulate around them. Once you toss them on a plate, the steam build up will quickly lead to soggy waffles. 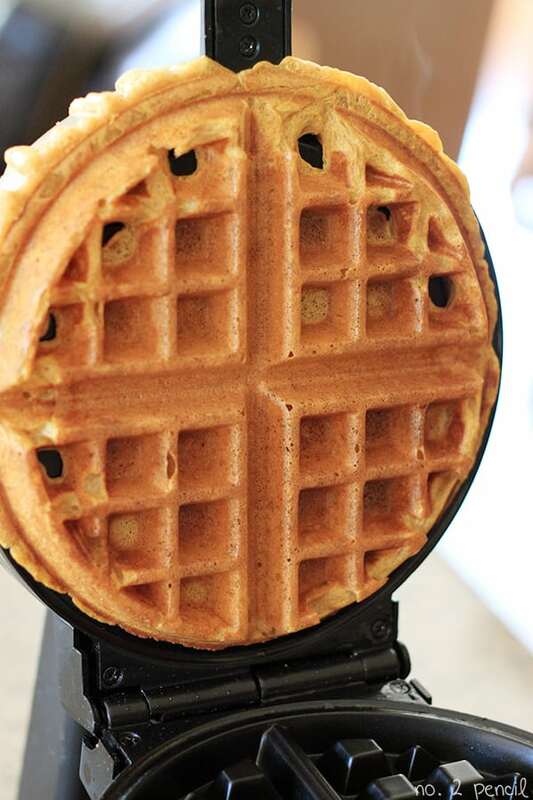 If you are making waffles for a crowd, reheat waffles directly on oven rack at 350 degrees for 3-4 minutes. This brings the crispy back beautifully! Thx for the tips on how to keep them crispy! Hello, these waffles look divine! I cannot wait to try them! I am from Bakersfield, born and raised, but moved to Pittsburgh years ago. I was excited to see a blog by someone from Bakersfield! That’s so great! I’m born and raised in Bakersfield too. Thanks for saying hi!!! These look SO GOOD! Trying them tomorrow with my leftover pumpkin from pumpkin cookies last week. Funny question, the egg whites look not so much like egg whites to me… am I crazy? Just want to make sure I know what is in them so I make them correctly. Anyway, I hope they turn out as beautiful and delicious as yours! You whip the egg whites until they form stiff peaks. The same process for making meringue, but you don’t need to add anything to the egg whites. Great recipe. How many ounces is the pumpkin can? there are couple sizes out there. Thanks! The recipe calls for 1 cup, so the the 15oz size can will work and you will have some leftover. Made this morning–here’s my review: I just added the full 15oz can of pumpkin and it worked. (I hate having a few ounces of left-overs–they usually go to waste.) I actually wanted more pumpkin flavor so I think next time I’d add more PPSpice. Also, don’t add kosher salt unless you want to bite into crunchy salt crystals. My Costco salt, at least, is very coarse. Over all though? Very yummy. Kids loved ’em. Thanks! 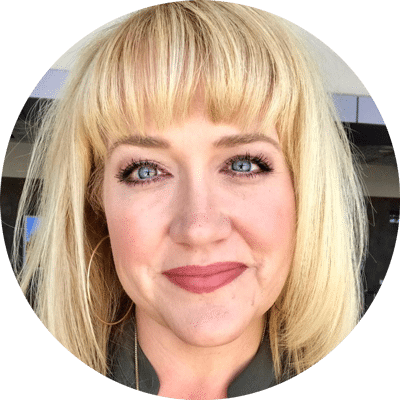 Bakersfield–we moved here from NJ just about 2 yrs ago (because our kids moved out here). We are have gorgeous 80 degree, breezy days. Leaves are changing–but nowhere near as beautiful as back east. Sure am in the mood for pumpkin though. I do not have a waffle iron so I’ll try pumpkin pancakes. Or… maybe I’ll borrow DDIL’s waffle iron. I also make a pumpkin yochee cake which is already on my list this week. Found you via OGT–I subscribed immediately. Just tried these the other day, great recipe overall! Just loved having pumpkin for breakfast AND not having to run to the store to get buttermilk. I did not have the problem with the salt crystals, I used regular iodized salt. They did however need to cook a bit longer than regular waffles in my waffle iron, just 30 more seconds or so. If you took them out too soon they were floppy, but a little more time in the iron made them crispy on the outside and soft inside. 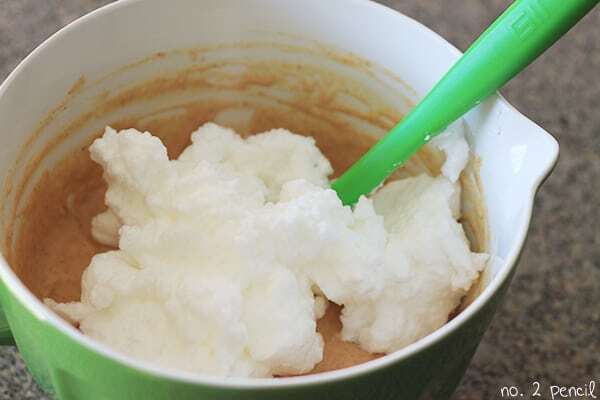 This recipe go fantastic with caramel syrup and whipped cream! Super yummy! I made using gluten free flour for my little Celiac son and they were awesome. The flavor completely covers the flavor difference that comes from using gluten free product. Thank you for a new family favorite. That’s so great! Thank you for sharing! I made these Sunday morning with my 4 year old son who LOVES to cook. He had so much fun helping me make these most delicious waffles! The only two changes we made were to add a bit of vanilla extract to the egg whites and a few sprinkles of pumpkin pie spice to the batter. They were crazy good. The leftovers were popped into the toaster this morning for breakfast. Thanks for a fabulous homemade waffle recipe my son and I are sure to make over and over this fall. Lived in Bakersfield for 10 years, now back in Oregon. I will makes these and start following you. Found this recipe on Pinterest. Made them this weekend. I read the recipe wrong and added the whole 15oz can of pumpkin but they were seriously so delicious! I will definitely be making these again! Have you tried just using the extra 2 egg yolks instead of the butter? Just curious! I’m making them today! I haven’t tried that, please let me know if you do! Thank you for the recipe, it was yummy! Mine didn’t crisp up well but I do need a new waffle maker. Taste was great! Great recipe thanks!!! I added an extra tsp of pumpkin spice and 1 tsp of vanilla too. Kids loved it!!! Also topped it with some homemade caramel which was the icing on the cake 🙂 Thanks!!! I just made these so that in the morning all I have to do is put them in the toaster oven. They’re okay. I wish I had read the comments first. I would have added the whole can of pumpkin. I added walnuts and cranberries to the batter. I like the pumpkin recipe that I received with my Cuisinart waffle maker better. Instead of putting maple syrup on the waffles, I sprinkle a little bit of powdered sugar. i made these waffles this morning, and they were delicious!! I added a tsp of pumpkin pie spice and a tsp of cinnamon to the dry ingredients because I love the flavor it created. Even though the waffles were delicious, they didn’t get crispy. I did place them on a cooling rack as soon as they were finished cooking. What a warm and fuzzy feeling having these this morning on such a cool fall day!! I will definitely make this recipe again. Oh, did I mention that I sprinkled a few chopped pecans on top of the waffle with a little syrup? Yummy! Thanks, Linda! Pecans sound delicious!!! I want to make these this weekend but don’t have apple cider vinegar. Do I need to add this to the recipe? Can’t wait to make them for company! You can substitute white vinegar! I can’t wait to try them as well, I love this time of year, Thanks for sharing Melissa. I made these yesterday, I used the whole can of pumpkin and added a splash of vanilla as other commenters suggested. They were great, I froze them for quick breakfasts and I loved them. I made these today and they were terrific! Thank you for this recipe! These Waffles are divine!!! 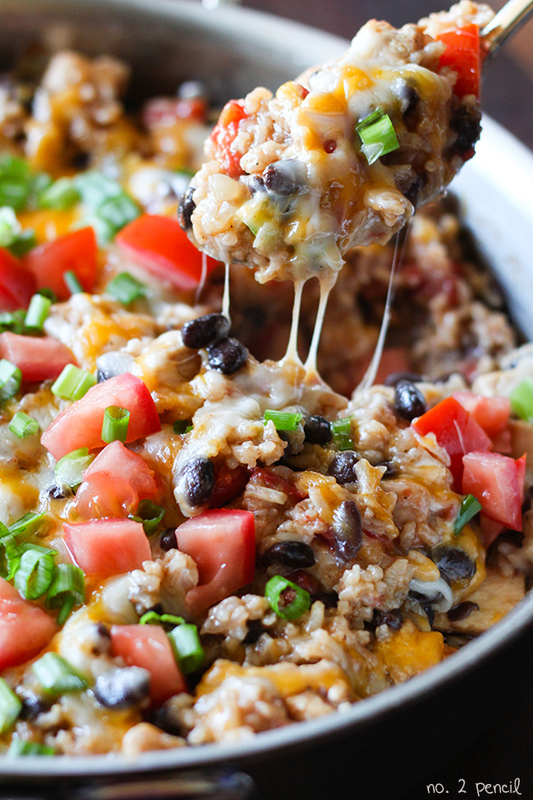 We’ve adopted this recipe and make them once or sometimes twice a month! They are our special weekend breakfast. We make two batches and freeze the second. They are as good thawed and toasted the next week! Thanks for this great recipe!!! Has anyone made them with whole wheat flour? If so, do they get too heavy? Or how did you ‘fix’ that? Greetings from Indiana, where leaves are just beginning to change! Trying a new recipe for company can be risky business, but this one proved to be a winner! I love pumpkin and fortunately my guests did, too! Thanks for sharing! The only modification I made was to increase the pumpkin pie spice, nearly doubling, because I love all of those spices. I also offered chopped pecans as a topping with the maple syrup. Delish! Your recipe now appears on 2 of my Pinterest boards, Breakfast and Brunch and Pins I’ve Done with Success. I operate a private bed & breakfast for a women’s organization and will be serving Pumpkin Waffles to a number of my fall visitors. Thanks! Made these this morning and loved them. I added some pumpkin spice to jazz them up a bit more. It does make a lot if using a regular waffle maker so I froze what we didn’t eat. Thank you for your recipe! My oldest is on thanksgiving break this week and I wanted to start it off with something special so I made these this morning…. Yum! Your blog is great and I loved the pictures.. tasting the food was even better. Next time i will try with the whole can of pumpkin. Didn’t have apple cider vingear so just used white. Turned out great. Had 4 leftover egg whites from making ice cream so threw all of those in plus 1 egg yoke. Didn’t seem to make a difference. Super fluffly and light on the inside the whipping of the whites (something I never took the time for – before) made a HUGE difference. Both my kids ate 2 squares each! Froze the extras 🙂 Thanks for a great breakfast. I love waffles! Can’t wait to try these! I like this recipe too much, I believe that when I do it, it will be the biggest success with the family, too good.